As distributors of TTS products we have access to a huge range of hotel and hospitality cleaning supplies. 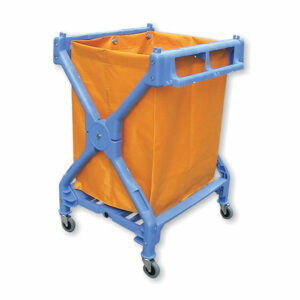 TTS trolleys can be designed to suit your customers requirements. 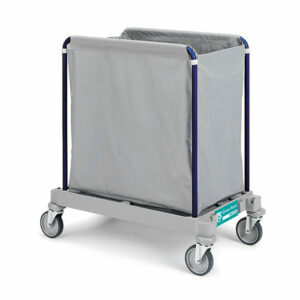 Service trolley to carry clean and dirty linen in hotels, as well as private and public buildings. Its size makes it fit to the service of 12-16 rooms per floor. It is equipped with a plastic 120-litre bag holder, to collect dirty linen and three shelves. 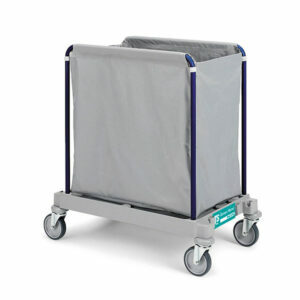 Service trolley to carry clean and dirty linen in hotels, as well as private and public buildings. Its size makes it fit to the service of 12-16 rooms per floor. It is equipped with 2 x plastic 120-litre bag holder, to collect dirty linen and three shelves. 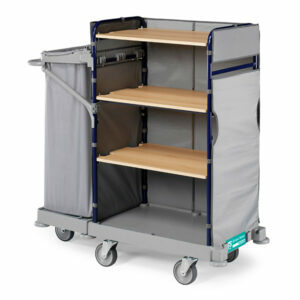 Service trolley to carry clean and dirty linen in hotels, as well as private and public buildings. Its size makes it fit to the service of 12-15 rooms per floor. It is equipped with a 200-litre plastic-coated bag, which can be easily put over the trolley. 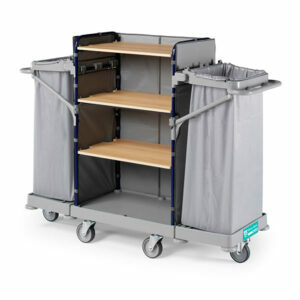 Service trolley to carry clean and dirty linen in hotels, as well as private and public buildings. Its size makes it fit to the service of 16-18 rooms per floor. 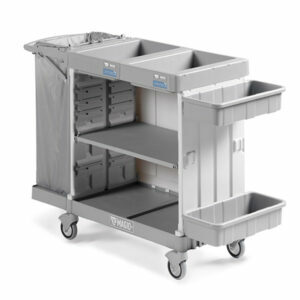 It is equipped with a 300-litre plastic-coated bag, which can be easily put over the trolley.